Before the Model T, cars were the playthings of the wealthy. The Model T changed that, mobilising the US middle class. Today the T is (rightly) credited with putting America on wheels. 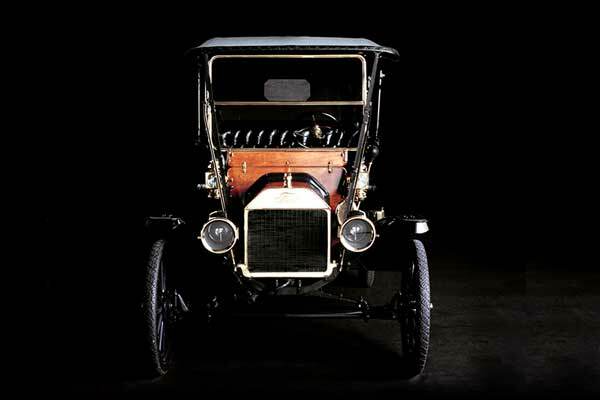 The Ford Model T was arguably the first truly modern motor car. Not just in its design – front engine, centre gearbox linking to the differential and rear-wheel drive, which became the standard for the next forty years – but in its manufacture. Nearly a century after the last cars were built the Model T is still extremely popular among vintage car fans. With owners clubs around the world, excellent parts supply and specialists with Model T Ford for sale and parts that are harder to find. For a car to be ‘historic’ it has to have its story told, so here we go! 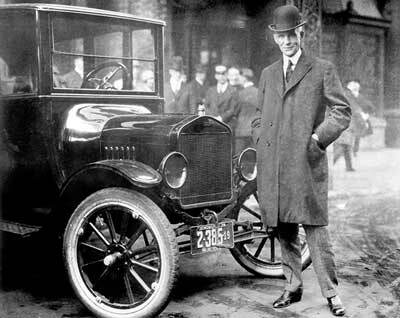 Henry Ford grew up in rural USA and despite his success, he didn’t forget his roots. He wanted to build a practical, tough car to benefit the people he grew up with. Enter the Ford Model T, a car developed to thrive on the tough unmade roads of the United States in the early 20th century. The Model T was in production from 1908 to 1927. Famously, the first car to be constructed on a rolling production line. The first cars were assembled by hand, essentially in the nineteenth century standard way at Ford’s Piquette Avenue plant. But the car was immediately successful, demand was beyond the ability of Piquette Avenue to meet, so Ford invested in a state-of-the art new factory at Highland Park, which moved swiftly to a modern rolling production line. This success quickly spread around the world. More than 16 million were built in thirteen plants in the USA, two in Canada, and one in each of Argentina, Australia, Brazil, Chile, Denmark, Germany, Ireland, Japan, Spain and the UK. While this may not seem unusual in the 21st century, in the early 20th century it was truly ground-breaking. The famous Henry Ford remark ‘Any colour you like so long as it’s black’ is said to have originated from manufacturing demands. Black was the fastest-drying paint, and therefore the most suitable for the production line. Not all Model T’s were black though and fast-drying paints in other colours soon became available. In the United States the Ford Model T was known by it’s nickname Tin Lizzie. There are two common explanations for this. The first is that Lizzie (or Tin Lizzy) was slang for a horse, suggesting Henry Ford’s invention was a tin horse. Another, less popular theory is that it refers to Noel Bullock’s 1922 Pikes Peak victory in his Model T special, nicknamed “Old Liz“. The story is that no-one paid much attention to Noel’s beat up Model T but his victory took everyone by surprise. Going down in Pikes Peak history and capturing the hearts of the Pikes Peak spectators. Although Ford Model T production lasted nearly two decades, the car didn’t evolve much. Henry Ford was famously reluctant to change the Model T formula and, with half the cars in the USA Model T’s in 1918, you can kind of see his point. Common to all Model Ts were the 2.9 litre four-cylinder engine, the two-speed, semi-epicyclic gearbox, and the drive train; the footbrake which operated on the transmission, and the handbrake which operated the rear drums. Suspension throughout was transverse leaf spring, a longstanding joke played by Ford on unsuspecting motorists right up to the 1950s. Early cars are deeply basic. The driver sits atop 40 litres of petrol, and in the very earliest cars a couple of accumulator jars which provide electricity. 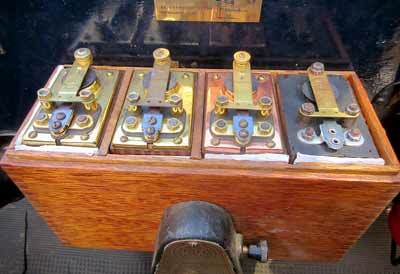 Later a magneto generator was incorporated in the flywheel to supplement the battery power. The car is started on the battery and switched to magneto once the engine is running. From battery or magneto, the 12v electricity passes through a ‘timer’ – an early distributor – to ‘trembler coils’ housed in a handsome wooden box on the firewall. These step it up to ‘high tension’ – a high enough voltage to produce a spark at the plugs. Petrol reaches the engine moved only by gravity, an arrangement which, for all its elegant simplicity, could make climbing hills difficult if the carburettor rose above the bottom of the tank, so some owners took steep hills in reverse. Electricity was not originally available for purposes other than ignition. Early cars have an acetylene generator mounted on one of the running boards. This provides gas for the headlamps, and kerosene lamps to side and rear. The handsome front brass radiator, with the lamp, windscreen and hood features also brass, gives these early cars an instantly recognisable personality. Early cars have wooden non-detachable ‘artillery’ wheels, so a puncture means jack and tyre levers to replace the inner tube. Later cars have detachable rims. Characteristically the folding roof of the early cars does not connect with the top of the windscreen, giving early Model T’s the rather endearingly dotty personality featured by the Keystone Cops. 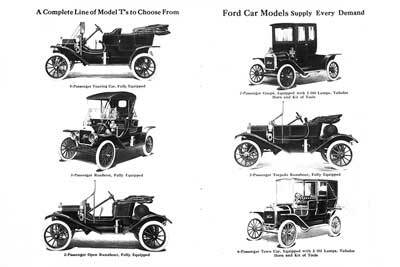 The Ford Model T wasn’t just available with one bodystyle, it was a range (see picture below). The characteristic brass radiator, the last significant brass fitting, disappeared in favour of paint in 1917. A distinct middle period crept up in 1915, when the flat firewall was replaced by a curvy cowl. Other changes to the hood and radiator in 1917 resulted in a more developed look. It was also easier to live with, as the roof and the windscreen now met, improving the weather protection and electric lights replaced acetylene. From 1924, a nickel radiator, and other luxurious touches like starter motors creep in. Finally, from 1926 a completely new body shape, which is very close to the later Model ‘A’. Along the way, wooden artillery wheels were replaced by steel wheels with detachable rims, making punctures less of a challenge. The petrol tank also moved from under the driver’s seat to in front of the windscreen, for improved hill-climbing performance as the petrol tank was now always above the carburettor. 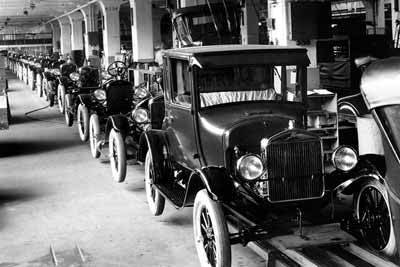 In nearly two decades of production over 16 million model T’s had been produced. The car mobilised the US middle class and is (rightly) credited with putting America on wheels. This success must surely be put down to the car’s role in the evolution of mass production and Ford’s willingness to pass these savings on to customers. While the car was in production, Ford managed to massively reduce the man-hours required to build a Model T. Between 1908 and 1927, assembly time fell from more than twelve hours to just 93 minutes. As production-costs decreased, buying a Model T became cheaper too. The price of a ‘runabout’ was $825 in 1909, and $265 in 1924, $360 in 1927 when production ended (Wikipedia). The Ford Model T was replaced in 1927 by the Ford Model A, which proved another huge success for Ford (after very nearly bankrupting the company…but that is another story). In 1999, the Ford Model T was ranked as the most influential car of the century. Even today, the car still sits in the top ten of all-time best-sellers. Ninety years after production ended, owning and driving a Ford Model T is far easier a proposition than many vintage cars (one owner has even driven his Model T around the world). Parts supply is excellent on both sides of the Atlantic, with many spares available new and clubs/specialists stocking used parts that are harder to find. Around the world, Model T owners are represented and supported by a number of enthusiastic clubs. Offering advice and organising rallys and events.